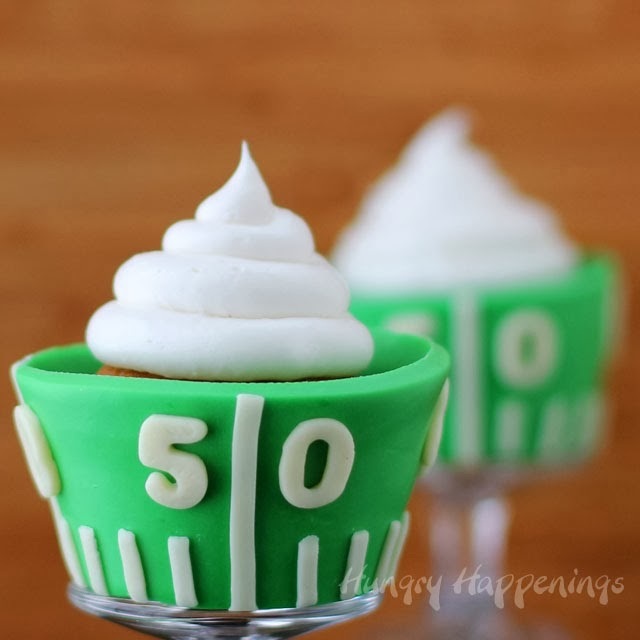 If you are looking for a dessert for you Super Bowl party, Beth has created two fun cupcake wrappers that you need to see. The first is the football field themed wrapper. Her cupcake wrappers are actually edible, made from modeling chocolate, but they would be pretty cute made from paper too. 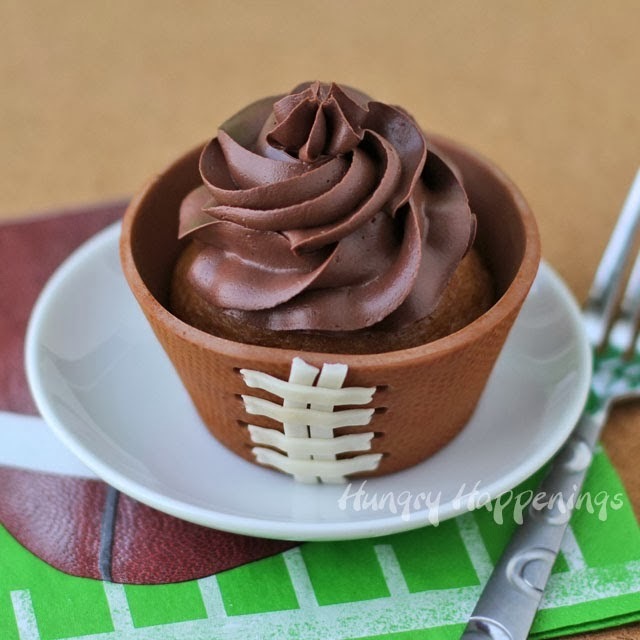 The second is a milk chocolate football cupcake wrapper. She even has the ties and the texture down perfectly. That would be harder to duplicate in paper, and it wouldn't be chocolate. 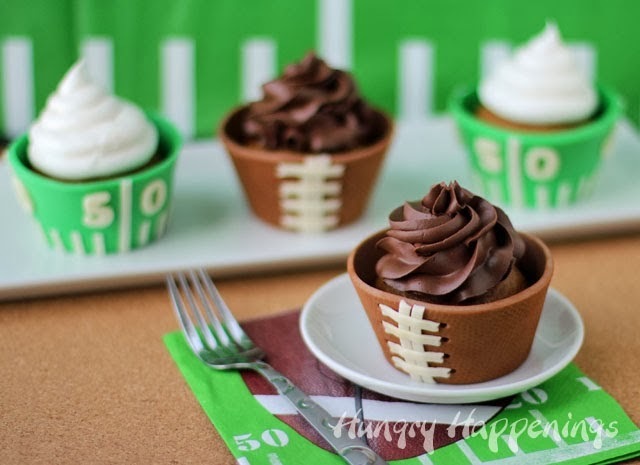 You can check out how to make both of the edible football cupcake wrappers over at Hungry Happenings. Thanks so much for sharing, Lorie!